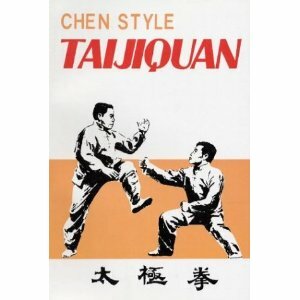 This was the first book on Chen Style Taijiquan I read back around 1989. It was available before Chen Xiao Wang produced his set of instructional videos and was one of the very few if not the only resource available on Chen style taijiquan in English at that time. Its curiosity is that Feng Zhi Qiang is Bejing trained, being a taiji student of Chen Fake and his son Chen Zhaokui. The input from a younger Chen Xiao Wang who was trained in Chen village is of smaller extent. The two authors provide completely different elements to this volume: Feng Zhi Qiang’s first 2/3rds of the book is dedicated to the applications of the xinjia forms. These are provided with minimal text and primarily by picture series, moving step by step through the applications. Given the need to have attained basic skills before attempting applications, while very interesting in themselves they hold little learning materials or opportunity for over 99.9% of taiji students. This book set the mould for outlining the lineage of taijiquan practitioners and this style of conveying information is very frequently copied in more modern volumes. Historically and for the collector it is an interesting book to have.